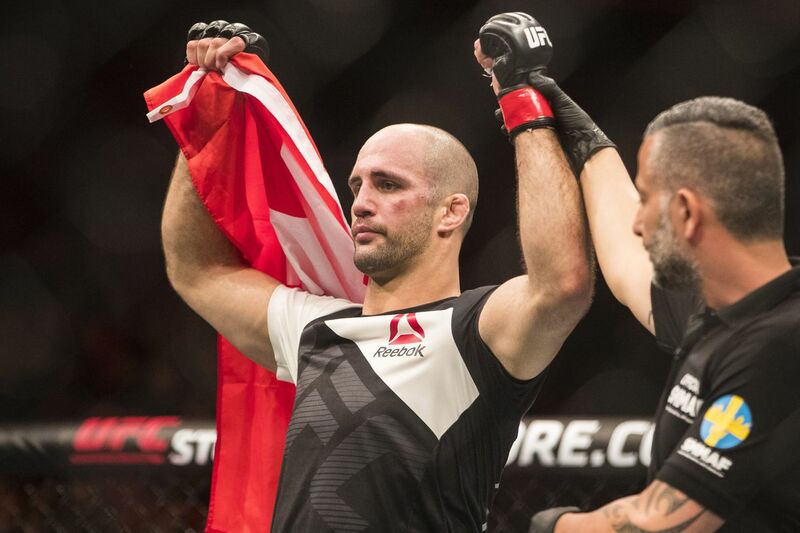 Volkan Oezdemir entered Sunday as more than a three-to-one underdog against Misha Cirkunov at UFC Fight Night 109, just as he entered his UFC debut as more than three-to-one underdog to Ovince Saint Preux. But just like the first time around, Oezdemir proved the odds don’t mean much once those cage doors close. Oezdemir (14-1) stormed through Cirkunov in UFC Fight Night 109’s co-main event, defeating the highly-touted light heavyweight prospect with a stunning knockout in just 28 seconds. A short counter right hand behind the ear was the blow that finished things off, and afterward Oezdemir bristled at the notion that his performance was a lucky one. “That’s just something I did again and again (in practice), pivot and strike, pivot and strike. And that’s how I ended the fight,” Oezdemir said at the UFC Fight Night 109 post-fight press conference. The win pushed Oezdemir to a perfect 2-0 in the UFC and validated the 27-year-old’s top-five position within the UFC’s media-generated light heavyweight rankings. Now, just two appearances into his Octagon career, Oezdemir faces an interesting dilemma, as his ranking and the UFC’s general lack of depth within the 205-pound class means that Oezdemir already is, at most, one or two fights away from contending for UFC gold. And that’s just fine with Oezdemir, who isn’t worried about taking things slow. “Because I know how it is,” Oezdemir said. “I know the fight game — it’s tough and it doesn’t last long, so when you’re inside the cage, you need to make the most of it, and I hope tonight was a good performance for everybody and people appreciate it. Oezdemir already has an opponent in mind for his next outing as well. After his win, the Switzerland-native set his sights squarely on a fight against Jimi Manuwa, the heavy-hitting Englishmen who is being held as a Plan B for UFC 214 in case Jon Jones fails to make it to his scheduled rematch against reigning UFC light heavyweight champion Daniel Cormier. Considering that Oezdemir took minimal damage against Cirkunov, he said it “could be a possibility, for sure” that he could turn around quickly and challenge Manuwa on July 29 at UFC 214. And Oezdemir said there are reasons other than Manuwa’s ranking why he is targeting the 37-year-old contender. “Because he’s a striker, and now that [Anthony Johnson] is retired, I guess he’s the man in striking,” Oezdemir said. “I’m a striker. I want to be the man too, so we need to settle that.